1) Put the bike in neutral. 3) Move the protective cover from the positive terminal of the battery. 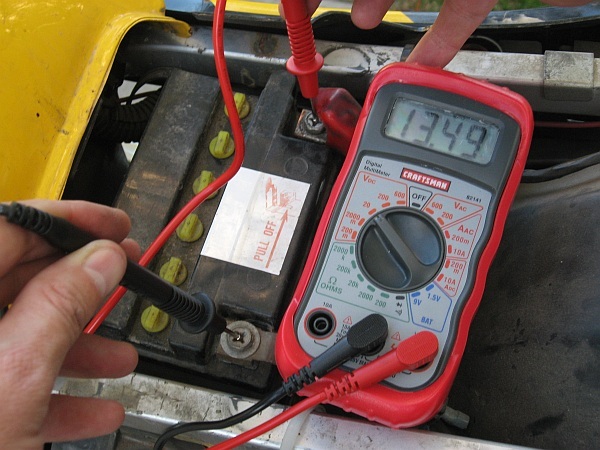 6) Measure the voltage between the battery terminals. It should be between 13.5 and 15.5 volts. 7) Turn off the bike. 8 ) Remove the plastic body cover from the left side of the bike. 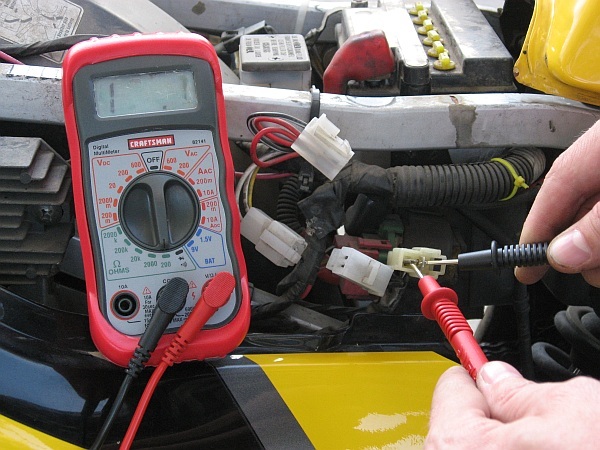 9) Locate the 3 connectors coming from the alternator. 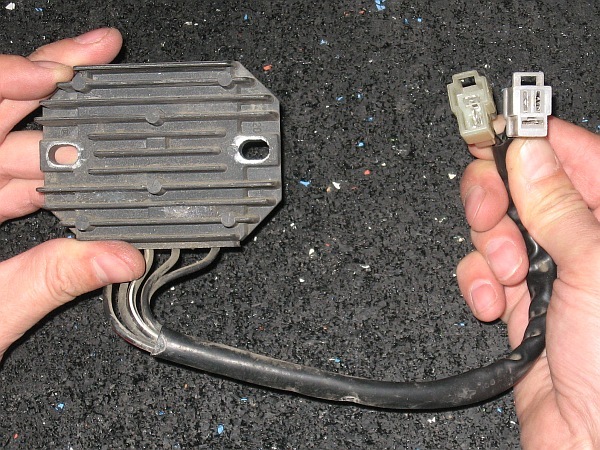 10) Pull each of the connectors apart. in the wires that lead to the alternator. 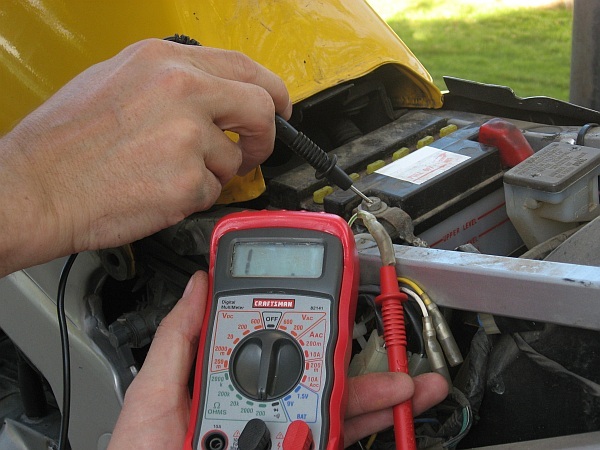 12) Set your multimeter on one of its lower resistance (ohms) settings. 14) The reading should be "infinite" ... there should be NO connectivity. 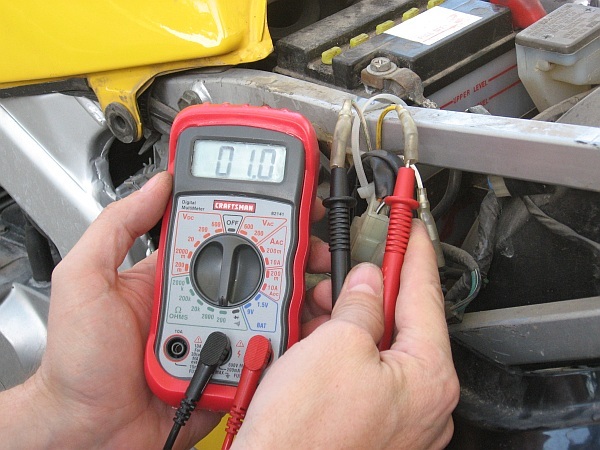 15) Set your multimeter on its lowest resistance (ohms) setting. The readings should all be fairly close to ZERO. The readings should all be equal to or greater than 75. 20) Turn off the bike. 1) Remove the plastic body cover from the right side of the bike. 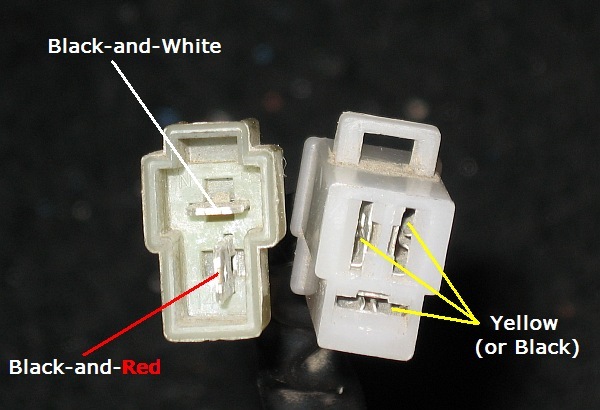 2) Locate the 2 connectors coming from the regulator/rectifier. 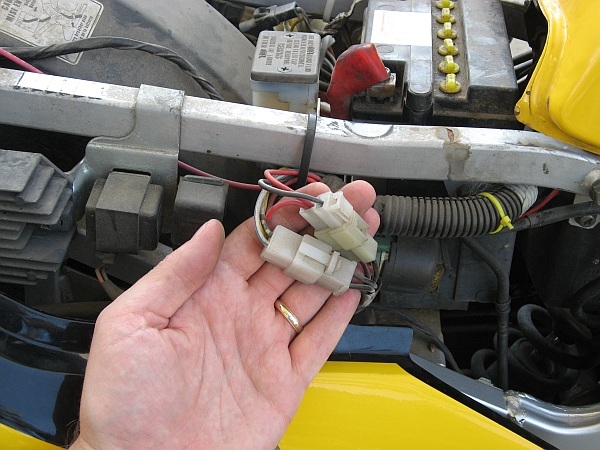 3) Pull each of the connectors apart. in the wires that lead to the regulator/rectifier. 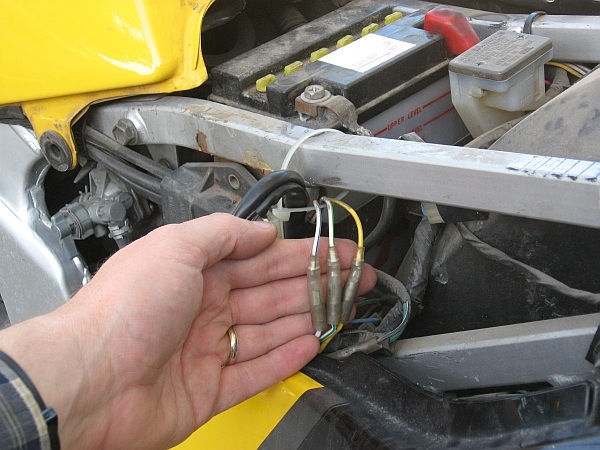 Sometimes it's easier to test a wire by inserting the meter probe from the "outside" of the connector.